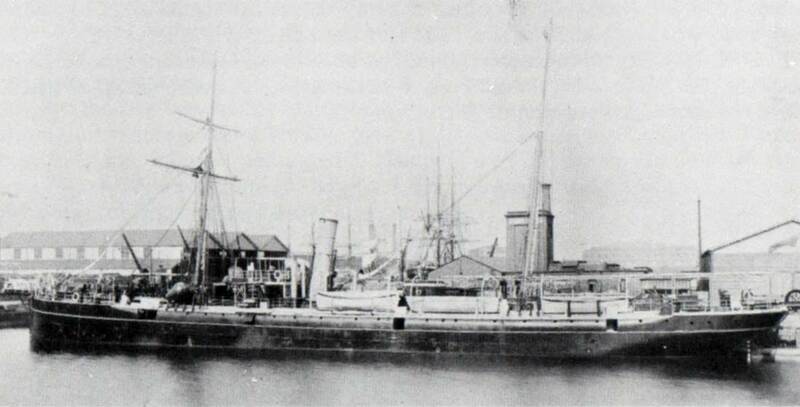 In the matter of the formal Investigation held at the Town Hall, Westminster, on the 6th of June 1887, before H. C. ROTHERY, Esquire, Wreck Commissioner, assisted by Captains CASTLE, WARD, and DYER, R.N., as Assessors, into the circumstances attending the stranding and loss of the steamship "VOLTA," of London, on the Island of Mykoni, in the Grecian Archipelago, whilst on a voyage from Khios to Syra, on the 18th of April last, resulting in the loss of 12 lives. 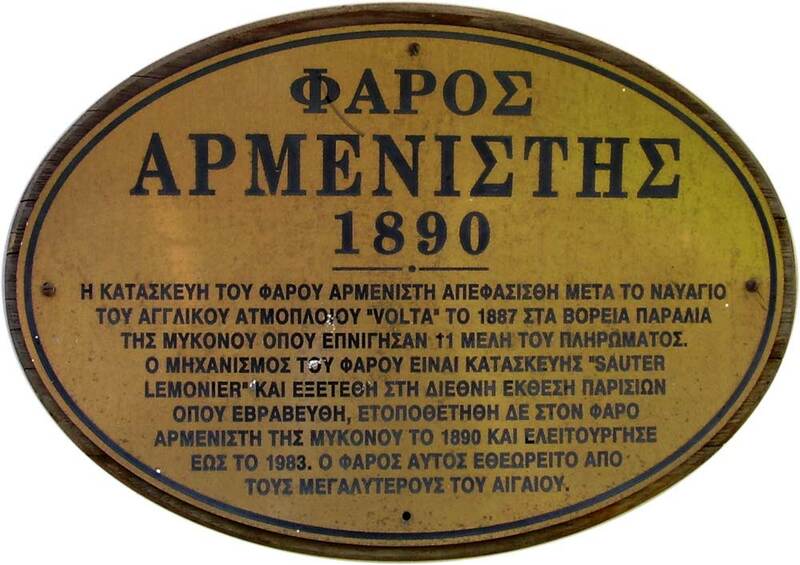 The Court, having carefully inquired into the circumstances of the above-mentioned shipping casualty, finds, for the reasons annexed, that the stranding and loss of the vessel were due to her having been put, after leaving Chios, on a course which would, if continued, necessarily have taken her ashore on the Island of Mykoni; and that the blame for the casualty rests with the master, who was drowned. ARMENISTIS. 1890. 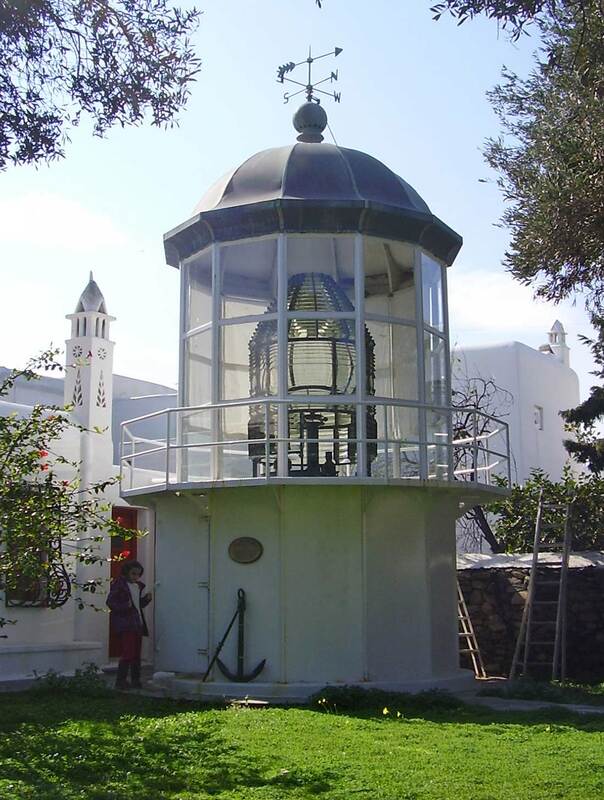 The construction of the Armenistis lighthouse was decided following the wreck of the British steamship Volta on the north shore of Mykonos in 1887, where 11 crewmembers lost their lives. The machinery of the lighthouse was designed by "Sauter Lemonier" and was exhibited at the Paris International Expo where it received prizes and was then placed in Armenistis lighthouse in 1890 and operated until 1983. This lighthouse is considered one of Aegean's largest.